Aria on Bank offers superior accommodation for the discerning traveller. Newly redeveloped in 2015, every room has been meticulously designed to create a truly relaxing stay in the heart of beautiful Dunedin. Light, airy and spacious, we offer 18 self-contained motel units to suit both individual guests and families. When you book with us directly through this website, or via our toll-free number 0800 331 221, we guarantee the best available rate and also the best experience! 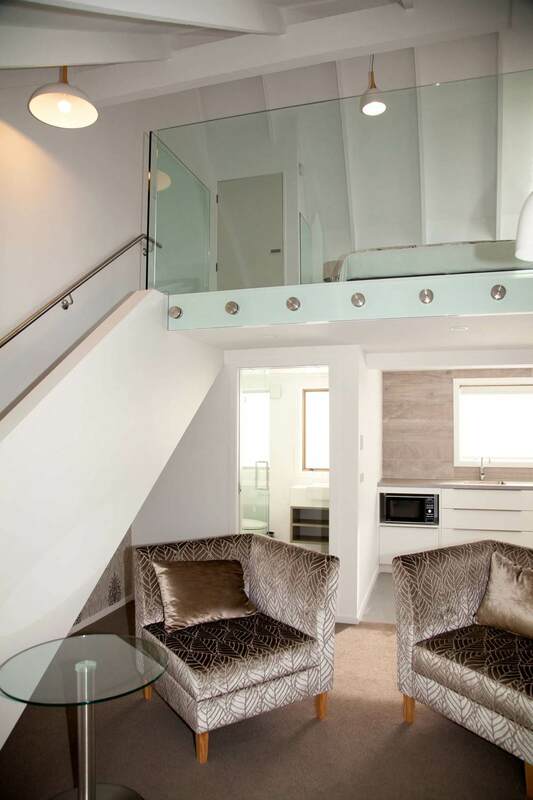 Aria on Bank offers 12 self-contained one bedroom units and 6 two bedroom units for a total occupancy of 50 pax. Contact us to discuss a package for your tour group or conference. "We pride ourselves on warm, personal service and attention to all the details that will make your stay with us a pleasure."